Not everyone is happy with their smile or how their teeth look. This can have a major impact on a person's confidence when it comes to interacting and socialising with others. 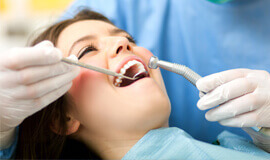 Cosmetic dentistry is a field within general dentistry that focuses on the beauty of a smile and covers treatments that enhance, align, and whiten or tone the teeth for a more attractive appearance. This includes treatments such as porcelain veneers, white fillings, teeth whitening, invisible braces, CEREC and implants. These treatments involve special techniques, equipment and a high level of skill. 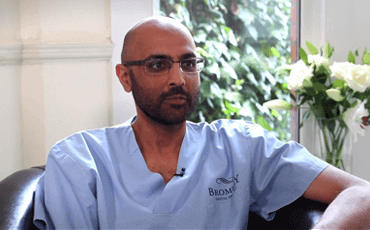 Dr Zaki our cosmetic dentist in Bromley is proud to offer these treatments to our patients and has seen many a smile transformed under our roof. If you are embarrassed by your teeth it's best to speak to your dentist, who can tell you more about the options available in a non-judgemental and empathetic environment and provide you with information about how these can affect your lifestyle while you are undergoing treatment. Don't hide your smile; allow us bring out its natural beauty with cosmetic dentistry. If your teeth are stained, chipped, or not aligned with each other then veneers are a good treatment option to consider because they look like natural teeth and don't require a major procedure. If one tooth is slightly out of position, a veneer can sometimes be fitted to bring it into line with the others. 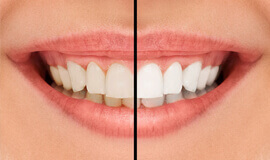 Veneers can also be used to close small gaps when braces are not a suitable option. 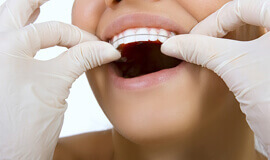 If you require a filling in your tooth, a cosmetic option would be to choose a white filling material that matches the shade of your surrounding natural teeth. 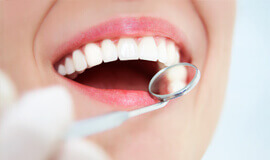 You can also have any existing metallic fillings replaced with tooth-coloured or 'white' fillings. This will allow you to smile without a metallic glint in sight, giving your teeth a more natural appearance overall. At Bromley Dental Practice we offer both in practice power whitening and at home teeth whitening options for your convenience. An effective long-term solution to straightening your teeth and correcting your bite is orthodontics. Orthodontics is a subspecialty area in dentistry that focuses on aligning and straightening teeth using wires and brackets, applying gentle pressure to the teeth to move them into a particular position. The discipline has advanced over decades and today treatment is a lot faster and more comfortable than it was in the past. In today's world, few of us have the time to visit the dentist for multiple appointments in order to receive dental treatment. At the same time, sitting for hours in a dental chair is not ideal either. One solution to this is called CEREC, a state-of-the-art machine that can make permanent crowns, veneers or onlays for you while you are still in the chair. Have you lost all or some of your natural teeth? Bridges, dentures and flexible dentures are not the only solutions, thanks to advances in modern dentistry. Have you heard of dental implants? Implant dentistry offers a clinically proven and safe solution to getting a great smile back and being able to bite and chew with confidence. The Inman Aligner is designed to correct adult relapse and misaligned teeth. 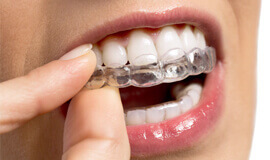 It is barely visible, apart from a single clear wire, and it is a removable orthodontic appliance, allowing the wearer to go brace-free for important occasions. Book a consultation with our friendly team in Bromley to discuss cosmetic dentistry options to improve your smile. Zaki is a member of the British Academy of Cosmetic Dentistry the world-leading authority on all things cosmetic dentistry. He is committed to excellence, transparency and patient satisfaction.